Desert Knights has partnered with local “HOT SPOTS” and restaurants in the Valley in order to offer you special rates and discounts. These promotions include free CLUB admittance, VIP passes, RESTAURANT discounts and more. 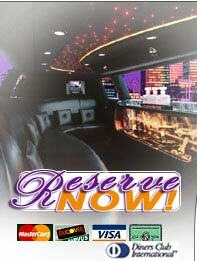 So when you are planning your next night out, call us first. Give us the details, sit back, relax and we’ll take care of the rest. Remember, when you step out with Desert Knights you get more for less. Check out the following packages and if we don’t have what you’re looking for we’ll create a custom package just for you! White glove treatment for the bride and groom including red carpet roll-out, “Just Married” signs, chilled water, Champagne or cider, and a wedding gift for you. We will do our best to accommodate any special requests you may have. We are the only Limousine company that will provide wedding transfers without a minimum hourly charge on Friday and Saturday nights!! Call for our special transfer price. If you would like to request any of our services, please contact us.